Over the years, your business must have made substantial investments in the IT infrastructure and your systems would have helped you to manage and handle your tasks without giving you visibility to the cumulative knowledge, leading to business decisions from an isolated point of view. With desperate data and IT systems playing an important role in processes, it has become important to gauge your business performance. Reporting and Analytics provide a basis to establish, measure and analyze your business performance. You can accurately extract, aggregate and analyze information from various sources and make more informed decisions. Have a look at few of the benefits offered by the reporting and analytics tools to a business. Analytics & Reporting is important for better decision-making in a business. It also enables key strategic initiatives and plays a crucial role in driving business strategy. It gives an organization the ability to react to changing business environment in a better way and ensures improved financial performance. It becomes possible for businesses to identify and create new product & service revenue streams and efficiently respond to buying trends in the marketplace. Analytics & Reporting help to identify the ways to increase sales, understand consumer behavior and effectively target the offerings of your business to a particular segment of customers. It can also help you to control your costs, improve the quality of your offerings and speed up time-to-market. SAP Lumira and SAP Crystal Dashboard Design are some of the tools used for data visualization. These tools allow businesses to analyze data and share insights easily by creating beautiful and interactive maps, charts, and infographics. You can easily combine data from different sources, visualize it, analyze trends and thus get insights for future planning. SAP Lumira is a self-service, data visualization application that enables businesses to visualize the massive amount of data available to drive immediate business outcomes. You can import data from Excel as well as other sources, perform analysis using intuitive dashboards and then collaborate on shared data. It offers the fastest and the most engaging ways to get answers from your data. SAP Lumira is wherever you need it, be it on Desktop, Server or Cloud, enabling better-informed, data-driven business decisions right away! Lumira provides privilage to access over 70 different types of data visualization to help you to illustrate your thoughts. Lumira allows you to create dashboards, infographics, geo-maps, powerpoint presentation and many more visualizations easily and quick;y. Silver Touch has developed extensive dashboards for CEO, CFO and Management key persons. Which will make your decision making process much faster. SAP Lumira allows businesses to create amazing data visualizations and infographics to analyze their data at the speed of thought. It can help you to pull data directly from your enterprise as well as personal sources, bring them in an understandable way, giving you a single view and answering your questions quickly without any dependency on your IT staff. SAP Lumira offers tools to prepare data the way you want, helping you save your precious time and facilitating tedious yet important tasks. You can easily bring transformations into your data without the need of any code or script. You can use the visualizations offered by SAP Lumira to get real-time insights about your business and stakeholders through an engaging drag-and-drop interface, thus supporting and enhancing your iterative thought process. SAP Lumira is an incredible platform, giving you analytics to communicate and share insights with minimal time and effort. 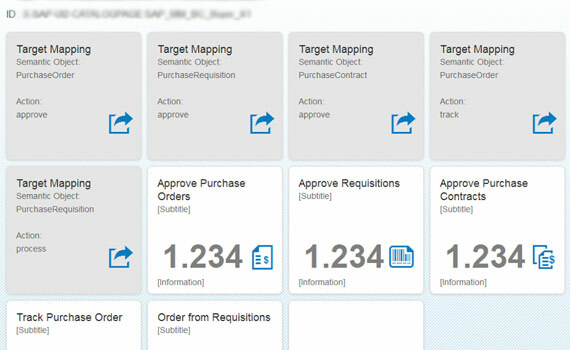 SAP Lumira enables the IT department of your company to deliver insights by taking a self-service approach, provide data discovery functions connected to the enterprise and deliver information to the business in a timely manner. SAP Lumira’s appealing interface and beautiful visualizations help businesses to analyze data quickly and discover unique insights, thus giving boost to business agility. You can easily visualize any amount of data whether big or small in real-time without compromising with the performance or security. You can even explore the possibilities of data by creating interactive storyboards. SAP Crystal Dashboard Design enables creation of insightful and alluring dashboards from any data source with point-and-click ease. You can take control of your complex data and give it a meaning through this tool. You can easily turn your raw data into intuitive and interactive dashboards, thus helping you get a thorough understanding of your data. You can combine your key metrics and information from different sources into a single dashboard through SAP Crystal Dashboard Design to optimize performance monitoring of your business. SAP Crystal Dashboard Design has the capability to transform your corporate data into better business results with visualizations, making it easier for your business to consume and understand data. You can even improve the strategic planning of your business by conducting a what-if analysis on real-time data through SAP Crystal Dashboard Design’s predictive modeling, giving you a peek into the business trends. It also helps a business to share information that saves time and money through the use of its existing tools like Microsoft Office applications, making information available to all. You can connect your dashboard to any type of external data sources for better analysis and results. SAP Crystal Dashboard Design makes it easier and faster to create data presentations and dashboards from various sources through improved workflows, data connectivity and integration features and flexible design and customization options. SAP Fiori is another initiative of SAP to provide a responsive and faster user interface. This initiative is to provide the user interface that supports in all devices like desktops, mobile phones and tablets etc. Personify and simplify the user experience for your SAP applications, using modern design principles. SAP Fiori provides a role-based, consumer-grade user experience across all lines of business, tasks, and devices. Use SAP Fiori apps, or take advantage of new solutions that natively incorporates. This new user experience is highly responsive to user actions. SAP Fiori works faster as it is integrated and works with HANA – In memory computing. It provides easy customization and supports most of the devices. Real-Time Data Monitoring can be carried out which makes the user experience apparent. User can carry out faster transactions using this highly user friendly initiative from SAP. SAP Fiori Client is available for installing in iOS and Android devices. The cloud edition of SAP Flori makes the user experience simple and personalized by reducing the burden of configuration and installation efforts and providing utmost connectivity for on-premise business processes. Transactional apps – These apps provide easy and well routed navigation across the transactional tasks with customized and simpler views. Analytical apps – The analytical apps provides real-time, role-based insight into all business operations by featuring the ability to analyze large volumes of data. Fact sheets – Fact sheets helps users to access all business data effortlessly by guiding them to the desired transactions and information. Experience simplified and personalized user experience for all your SAP solutions with SAP Fiori and simplify your IT needs and business functions. 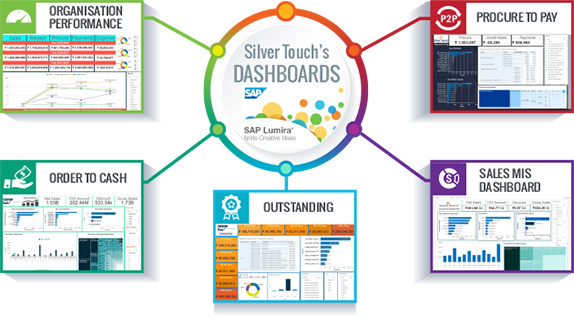 Silver Touch holds eminent capabilities in delivering end-to-end SAP Lumira and SAP Crystal Dashboard Design implementation and customization services. We can help you to meet your SAP Business One analytics needs through both these tools, leading to an improved decision-making and better ROI. Our seamless support will ensure resolution of all your queries at any point in time.